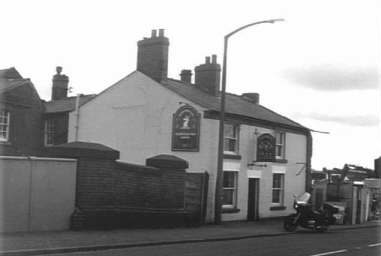 The Oddfellows' Arms is better known these days as the Potters' Arms and is located on Brooke Street next to the railway bridge. 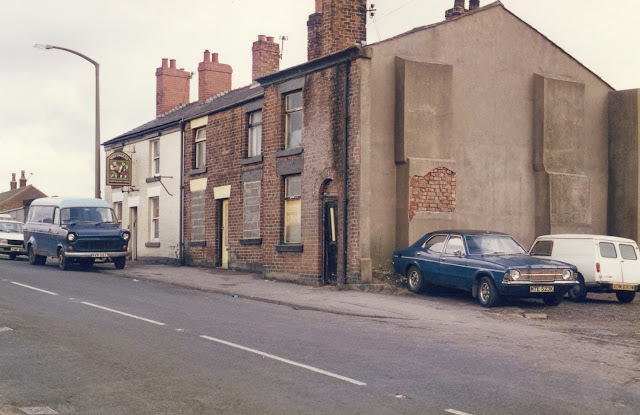 This whole area changed in the mid-1980's when much of Brooke Street and Lyons Lane were demolished to make way for the Chorley by-pass and a new supermarket (Morrison's) was also developed. 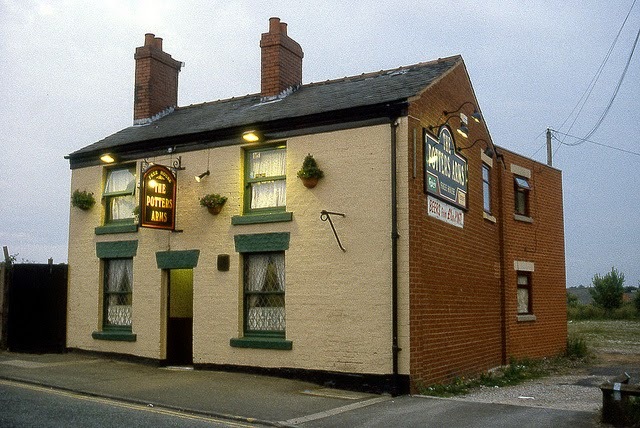 The picture below shows how the pub looked back in 1985 prior to the redevelopment. 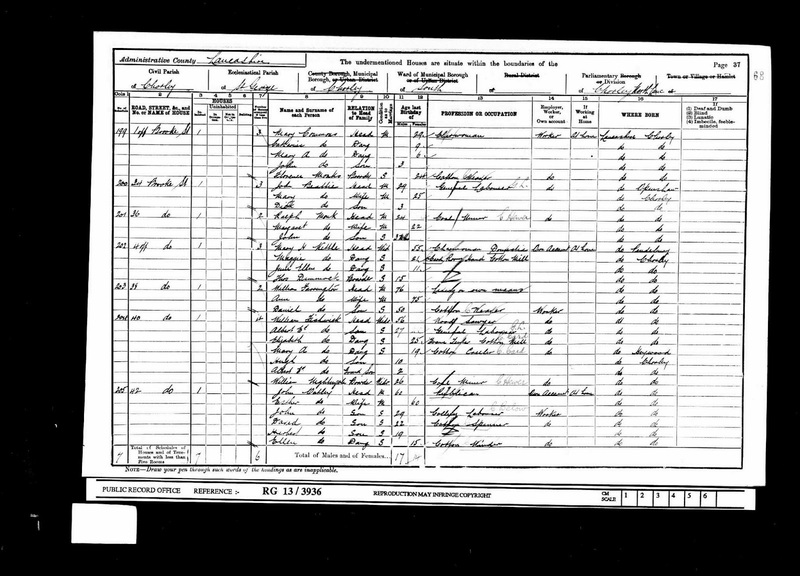 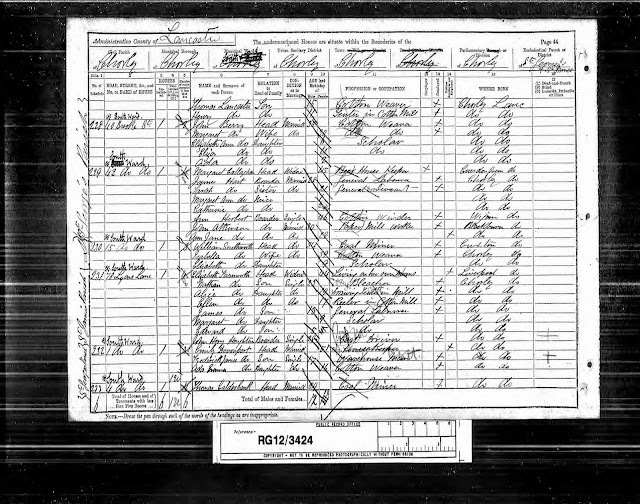 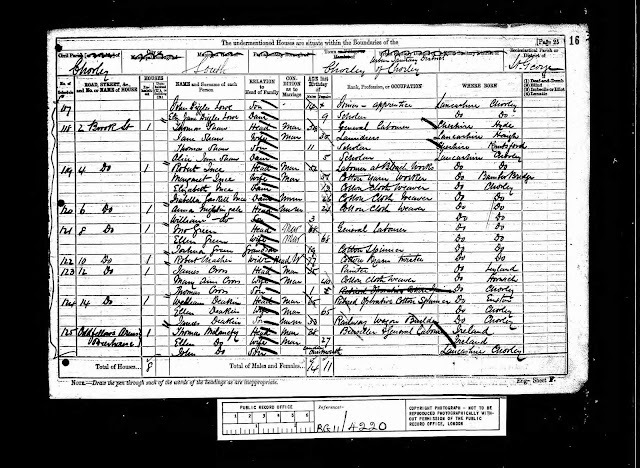 It is recorded as a licensed premises in Chorley from the 1880's with listed landlords being Thomas McLanefy (1881), Margaret Callaghan (1891), John Watley (1901), John William Nelson (1911), Job Johnson (1924), Richard Rhoden (1936-) and Stephen and Denise Potter. 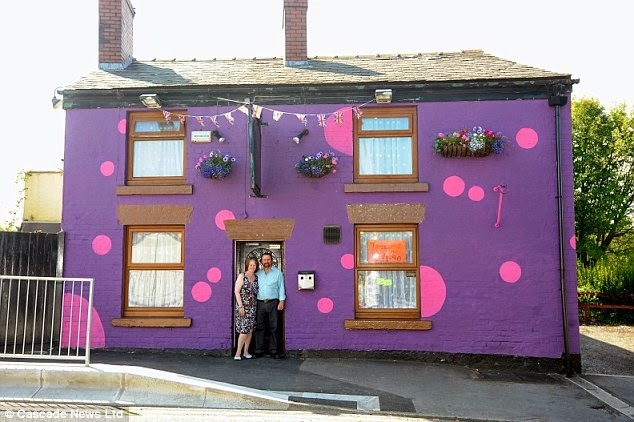 Pub landlords Stephen and Denise Potter were stunned when they returned home from a Caribbean holiday to discover regulars had given the exterior a 'Mr Blobby' style makeover. The Potters Arms, on Brooke Street, Chorley, Lancashire, was an unremarkable magnolia, with brown window frames when they left for their break. However when they got back, it was to a pub which had had its entire front painted a garish purple, dotted with bright pink spots - giving it a look similar to that of the TV character catapulted to brief stardom by Noel Edmonds. 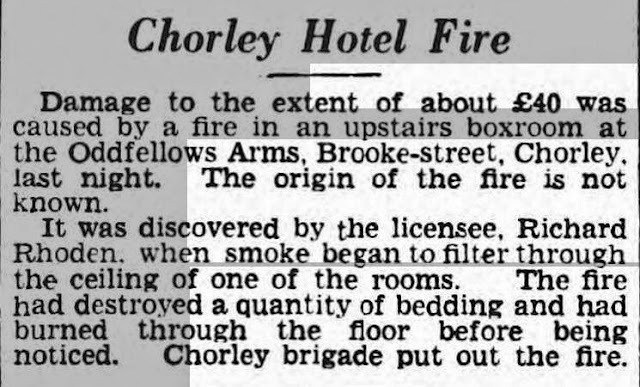 The colourful stunt was a good-natured practical joke by a group of regulars, who came up with the idea after a few drinks one night. 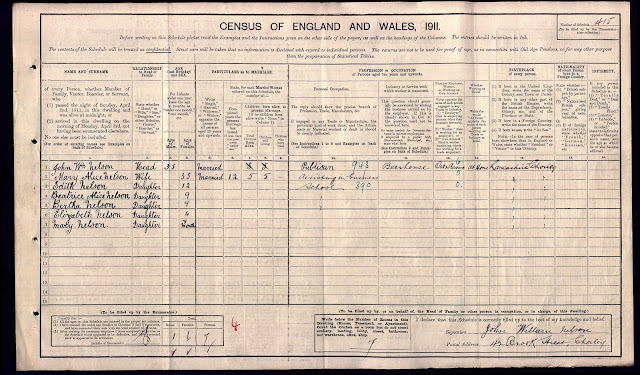 They were aided and abetted by the couple's daughter Zoe, 27, who was running the local in their absence, and the whole job was done in a couple of hours.